Embedded DisplayPort (eDP) video signals can be converted to OpenLDI (open LVDS display interface) using the S2D13V70 interface converter by Seiko Epson (Epson). Both eDP and OpenLDI are interface standards for transmitting video signals to displays, but eDP supports higher resolution video and faster speeds than the more widely used OpenLDI. With the electrification and automation of automobiles, manufacturers will increasingly require higher resolution displays in in-vehicle systems such as instrument clusters and central information displays. 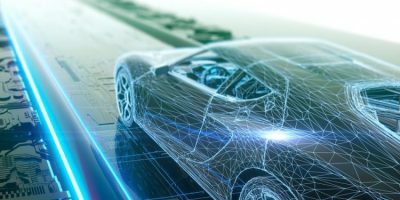 As this trend accelerates, products that support eDP, which can transfer video signals at higher rates, are growing in popularity in electronic control units (ECUs) that control in-vehicle displays. In-vehicle displays that support eDP input are not yet mainstream, and since displays are connected using an OpenLDI interface, eDP output signals from an ECU have to be converted to OpenLDI in the development of in-vehicle systems, explains Epson. The S2D13V70 interface conversion IC supports automotive standards. It satisfies the strict quality requirements of the automotive industry, confirms Epson. It complies with AEC-Q100 and operates at temperatures up to 105 degrees C.
The conversion IC is also equipped with safety functions required for automotive systems. For example, a CRC function monitors whether video signals output from an ECU are being properly received, and a blank screen function masks the display with a particular image pattern when a problem is detected in the transmission path between an ECU and the conversion IC. The IC supports the design of dual-display instrument clusters, with a splitter function that splits and outputs video signals on two displays.